In 2012, a small group of local residents came together with ambitious plans to return the then closed Town Hall back into public use - to create a centre for the arts, heritage and community use and to bring new life into the town centre. Four years later, these ambitions are coming to fruition and the building now plays host to a regular programme of professional arts activities including visual art exhibitions and theatre, dance and music performances, and a busy community workshop programme. The arts and heritage sectors bring huge benefits to our community, culture, education and economy. 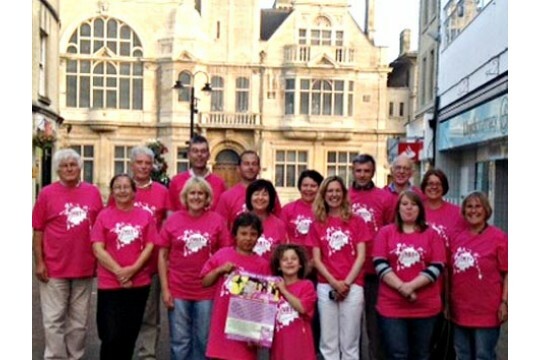 Here at Town Hall Arts we play a key role in doing just that for Trowbridge and the surrounding area. Town Hall Arts is open to everyone & we work with artists, schools, community groups and individuals to provide inclusive, diverse and affordable opportunities to experience high quality arts, culture and entertainment. We are open six days a week & love welcoming visitors, volunteers and ideas. Did you know that...in the 1890s and early 1900s the Town Hall hosted performances by the Trowbridge Musical Union and the Trowbridge Philharmonic Society. Today it hosts a regular 'unsigned bands night' and is home to a thriving youth brass band. And, throughout the 20th Century local people enjoyed lectures on subjects from Dress Cutting to Phrenology to Women's Work in the Time of War. Today you can enjoy lectures on subjects as diverse as local history, poetry and contemporary art. Our volunteer needs include things like - welcoming the public, helping set rooms up, manning the bar, helping out at events, light admin tasks. All skill sets and interests welcome.